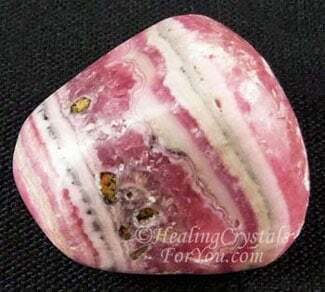 Rhodochrosite is a strong stone to aid emotional healing. It encourages you to feel love for yourself, and its energy will assist you in meditation, to reach a state of joy and sublime happiness. It's energy may stimulate your inner child, and bring a deep childlike happiness and joy into your life, and may bring deep forgotten memories to the surface for healing. If severe childhood events have also stopped you from allowing wonderful innate gifts or talents to emerge, it may aid you to allow these to develop. Good deposits have been found in Argentina, but it also comes from Uruguay, Russia, South Africa and the USA. Its name comes from the Greek words for pink and color, named because most of this stone comes in one of the shades of pink. Its color is in shades of pink-red and sometimes even orange- pink, with inclusions of various colors, including white, brown, yellow and orange. 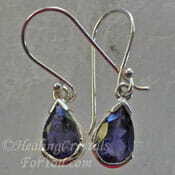 This may depend on where it comes from but most stones are predominantly pink. 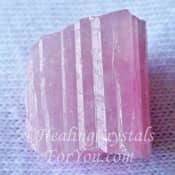 Pink Rhodochrosite is a powerful heart chakra stone, and like most heart chakra stones vibrates with the energy of love. 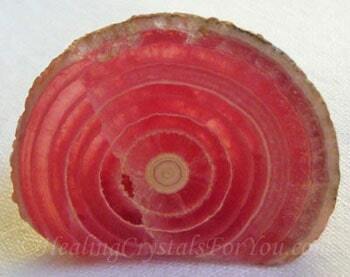 Exquisite Crystals, my most trusted source for buying crystals has beautiful Rhodochrosite. 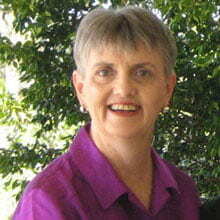 For women who have suffered from sexual abuse, it is a strong stone to heal you. 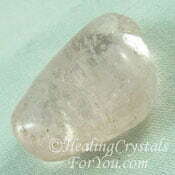 It encourages you to forgive yourself, and to allow yourself to feel acceptance of your role in what happened to you. 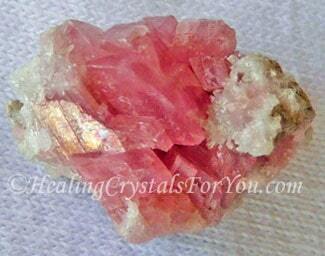 Have you have seen a piece of Rhodochrosite stone and picked it up, but feel an aversion to its energy? It is quite possible that it may have stimulated an immediate reaction within you. This is a sign that it may aid you to find the answer to a deep hidden problem, that you have not been consciously aware of, or maybe that you have been trying to ignore. It is common for many people to evade certain issues, even though you know that you feel a deep sense of mistrust of some person, at a gut level. This strong reaction in the gut, or within the solar plexus or power chakra. Perhaps there are issues that you have not yet faced. This reaction could be because you have experienced severe traumatic experiences in your childhood, that are related to that person in some way. 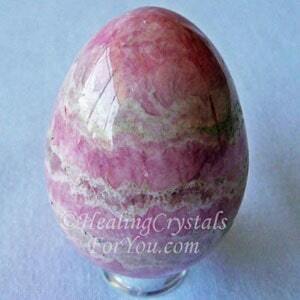 Pink Rhodochrosite often works quite quickly, to aid you to bring them to the surface. 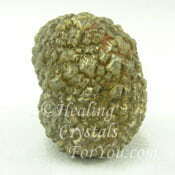 By simply putting a tumblestone or other piece of this stone in your pocket, the energy will benefit you. Once you begin to remember these issues, this gives you the ability to make choices on how you will deal with these on a conscious level within your life. These situations may have been so traumatic that you may have simply forgotten they occurred, out of a sense of self preservation. Many people will repress the memories of a certain event or events, because they made you feel so frightened. Be aware that if you are in this situation, you may need professional help to assist you to deal with these sorts of issues. 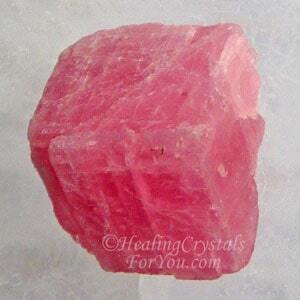 Meditate with Pink Rhodochrosite, to help you to reach a state of sublime happiness, and make contact with the golden light. It will help you to bring through the intense joy that this enables. 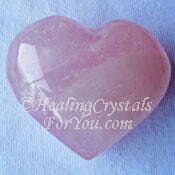 This is a very attractive and unusual pink stone, and these lovely stones are on of the zodiac birthstone list. So it will be easy to find it made into attractive pieces of jewelry. 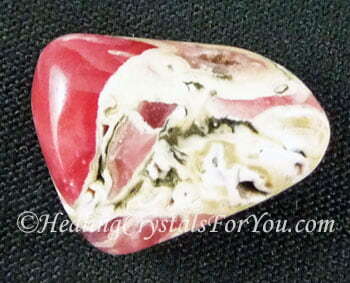 Beautiful Rhodochrosite jewelry made from this pink stone is lovely to wear as it has an excellent energy to assist emotional healing. Wearing crystal jewelry is the easiest way to keep the energy on your body, but if you cannot find a piece you like keep a piece in your pocket. 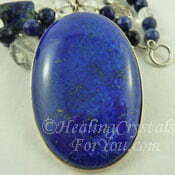 Wearing a pendant close to your heart will be helpful to boost its action within the heart chakra. 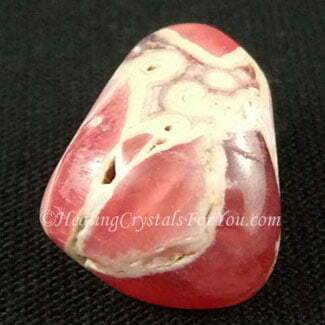 As it is both a Leo and Scorpio birthstone, you should be able to easily find lovely Pink Rhodochrosite crystal jewelry that you like. 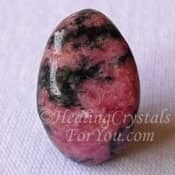 Pink Rhodochrosite is a stone that will help you to release old inner child issues that may have been holding you back. Once you have cleared these problems, you may be able to move on, and have a happier and more joy filled life. If you allow yourself to remember these events, and they may have been terribly painful, you may be able to move forward in your life. 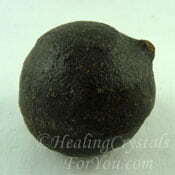 By using this stone in meditation at the solar plexus, it may help you to clear traumatic inner child emotional problems or even those that originate in a past life. As an excellent way to use it is in meditation. 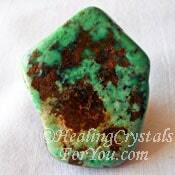 Having a piece that you can hold in your hand is a very beneficial way to use it. 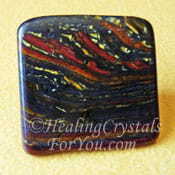 The vibration of this lovely stone works both within the base or root chakra and the solar plexus chakra. 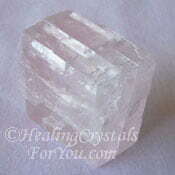 It will help you to clear negative emotional energy that have been trapped there by things that happened to you. 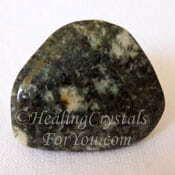 This stone could gently bring up painful memories, and it will help you to face them, even if they are difficult to believe. Once you have cleared these issues, you may find that your creativity may be enhanced, as you allow your potential to blossom. On the physical level it may help to relieve asthma and some other respiratory problems, and may assist blood circulation and normalize blood pressure. "Healing takes courage, and we all have courage, even if we have to dig a little to find it." Tori Amos. 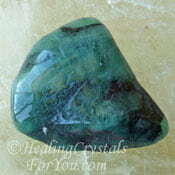 The energy of any other heart chakra stones will be helpful to combine with this stone. 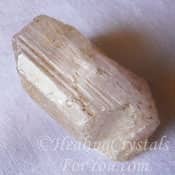 The vibration of the lovely Pale Pink Morganite crystals, Emerald, Rhodonite, Green Calcite, Pink Calcite, Pink Tourmaline, Pink Kunzite or Rose Quartz may be combined with it to boost the love vibration. 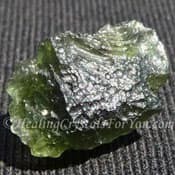 If you are using it for past life therapy, combine it with some of the high crystal energy stones such as Moldavite, to increase the depth of the journey or with Phenacite to enhance the strength of your inner visions. 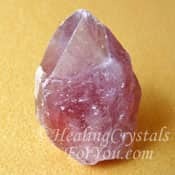 Lepidocrocite is another stone that also resonates a powerful love energy within both the heart and thymus or higher heart chakra. 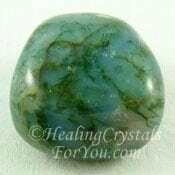 To help you to feel more courageous, you may like to combine these stones with Tiger Iron, Aquamarine, Moss Agate, Preseli Bluestone or Variscite. 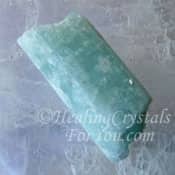 To aid you to balance your male-female energies you may like to combine it with other crystals that have similar attributes. Stones such as Marcasite, Aventurine, Hematite, Amesite, Golden Labradorite, Nephrite Jade, Turquoise, Amazonite, Shaman Stones, Magnetite aka Lodestone, Ascension Stones, Iolite, Lapis Lazuli or Sphalerite would be good choices. 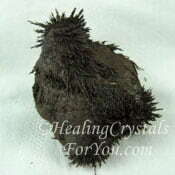 Whenever you do deep inner work, it is important to use protection methods to prevent psychic attack, and to ensure that no negativity attaches itself when you open yourself to spirit. 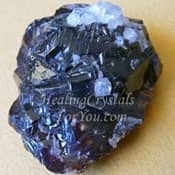 One of the strongest to use is Black Tourmaline, as it transmutes negativity into positivity, and is also a strong spiritual grounding stone, but there are others on the list of stones for either of these uses that you may also choose to use.